On Monday, May 18, the Parachute Factory will be hosting 2 professional development workshops at the Loma Colorado Branch of the Rio Rancho Public Library. Registration is NOT required for this last minute great news! Parachute Factory director Mariano Ulibarri will give a quick introduction to the Maker Movement, with a focus on “popup” makerspace events in New Mexico Libraries. An introduction to resources for planning makerspace programs in your library. look closely at designed and made elements of an object. 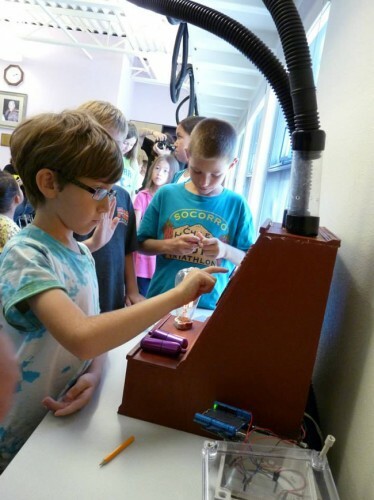 guidance on hosting independent makerspace workshops. This hands on workshop focuses on frameworks developed by Harvard’s research team. existing object or system to be more effective, efficient, ethical, and/or beautiful.